Register for Solution Studio here! Create, manage, deploy and sell Business Solutions based on Microsoft SharePoint and Office 365. Register here for Solution Studio! Start creating Business Solutions and become part of a community of Solution Creators! 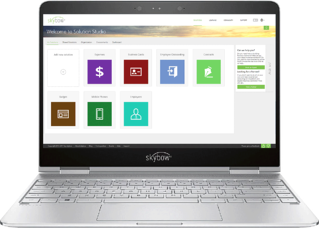 skybow Solution Studio is a web-based Solution Development Environment. Create solutions within your own SharePoint Online site in Office 365, then deploy, manage, and even sell them to online and on-premises SharePoint sites. It's web-based, easy-to-use, really powerful, and 100% SharePoint.